Motivation can take many forms, but when Lesa Helbein learned that one of her preschooler’s classmates was diagnosed with a rare form of cancer, she knew she had to something. “I knew very easily it could have been any one of the twelve kids in the class,” said Helbein. At that point, Helbein didn’t know Grier Christenbury or his family well. Later, she’d learn that her husband and Grier’s father were classmates at Charlotte Latin. More motivation. Attending an event to celebrate kids successful battles against cancer, and memorialize those who didn’t, that was the tipping point for Helbein. 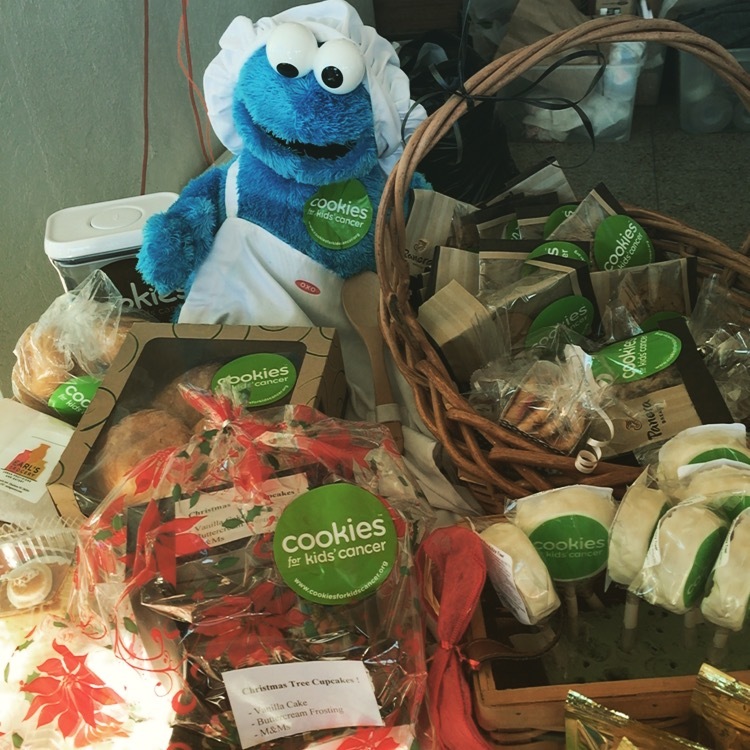 One month later, they hosted their first Cookies for Kids’ Cancer bake sale and raised almost $15,000. Another great motivator is seeing the impact that the effort has had on the fight against cancer. Cookies for Kids’ Cancer has funded more than six dozen childhood cancer research grants, resulting in 27 promising new treatments in clinical trials, available to children today. She believes everyone has a role in supporting these families while their children take on the challenge of cancer treatment, and that everyone has something they can bring to the table. The Dunstan Group has long been a part of that cancer-fighting community in Charlotte, providing the creative energy – and the promotional products – to help Cookies For Kids’ Cancer, LIBSTRONG, and 24 Hours of Booty build their brands and reach their audiences. “Doing good work for folks who do theirs for the greater good; that’s how we can all be part of the cure,” said Scott Dunstan, owner of The Dunstan Group. From t-shirts, to stickers, magnets, hats, tattoos and more; The Dunstan Group has produced all sorts of branded merchandise for non-profits that add up to more than just name recognition. They mean dollars and cents for the cause. “Marketing materials from The Dunstan Group play a huge part in what we do,” said Helbein. Sponsorships on t-shirts alone equate to more than $10,000 before the shirts even go to print. Helbein said tees, hats and other gear are routine sell-outs, making them even hotter commodities for the next Bake Sale. That’s all money that goes toward their overall fundraising goal. Logo’d and branded merchandise carries the Cookies for Kids’ Cancer marketing message between Bake Sales, too, as people sport those tees, hats and magnets all over town, across the country, or around the globe.